Buddy-to-Buddy is a peer-to-peer program that trains volunteer veterans to provide peer support and linkage to resources for Michigan service members and veterans. 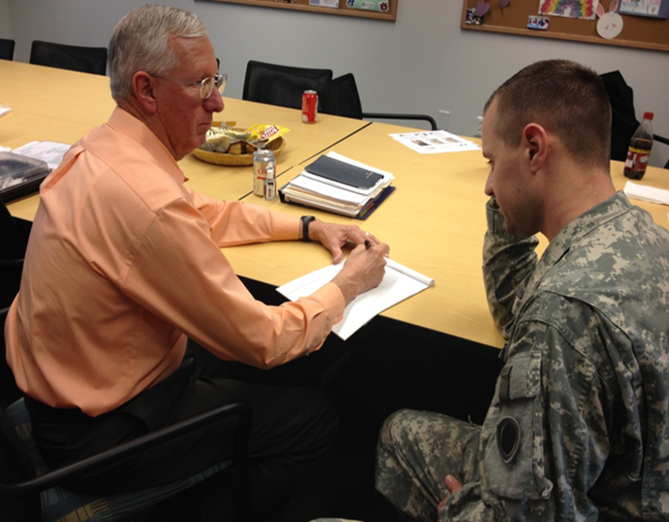 The program was developed in partnership with the Michigan Army National Guard to meet the unique challenges faced by Citizen Soldiers and Reservists. It has now been expanded to include all veterans in Michigan who may not know where to find the resources they need or may be reluctant to ask for help. Buddy-to-Buddy’s 130 volunteers are on call throughout Michigan and have assisted over 5,300 service members and veterans since the program’s inception. Buddy-to-Buddy is now available for dissemination through a licensing arrangement. It has been implemented in Illinois, and is currently being launched in West Virginia in partnership with the West Virginia National Guard.